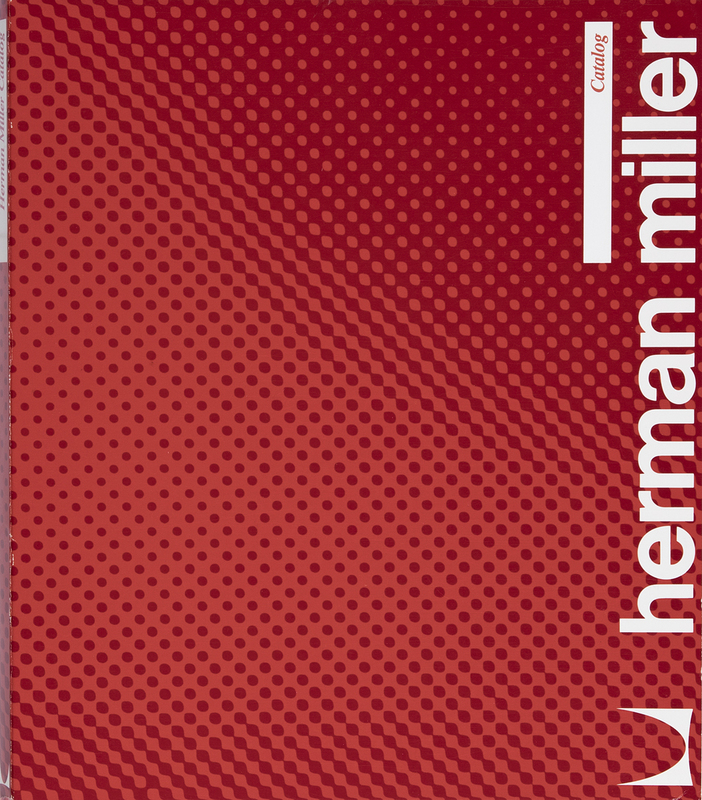 This catalog was designed to show an overview of the complete Herman Miller product line: systems, furniture, storage, and seating. 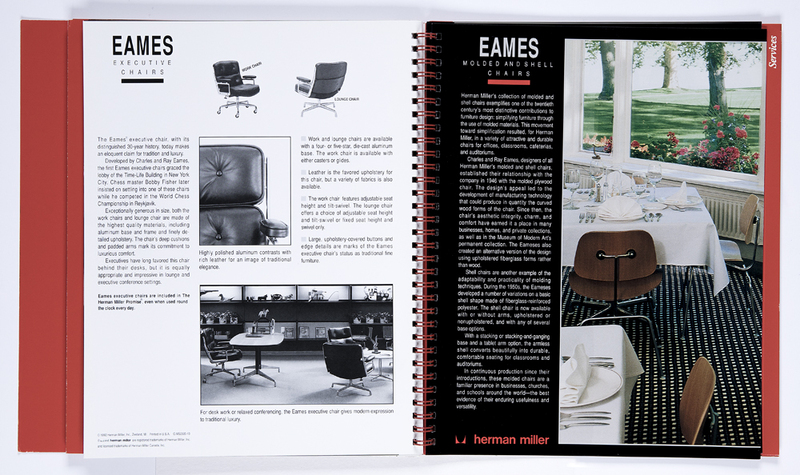 One page or foldout is dedicated to each product or service. An introduction to the product, color photograph of an installation, several black and white product photos, features, benefits, and models are presented. 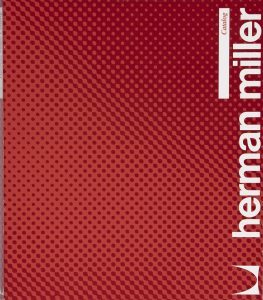 Sections are separated by red dividers and a red-on-red textured cover which matches a system of storage boxes, binders, and folders wraps around the spiral bound pages. Size W 9.5" x H 11"
Techniques Offset Printing. Cover: 2 spot colors + gloss coating. Pages: 4 color process + 1 spot color one side. 1 spot color one side. Gloss coating. Red Wire–O binding.